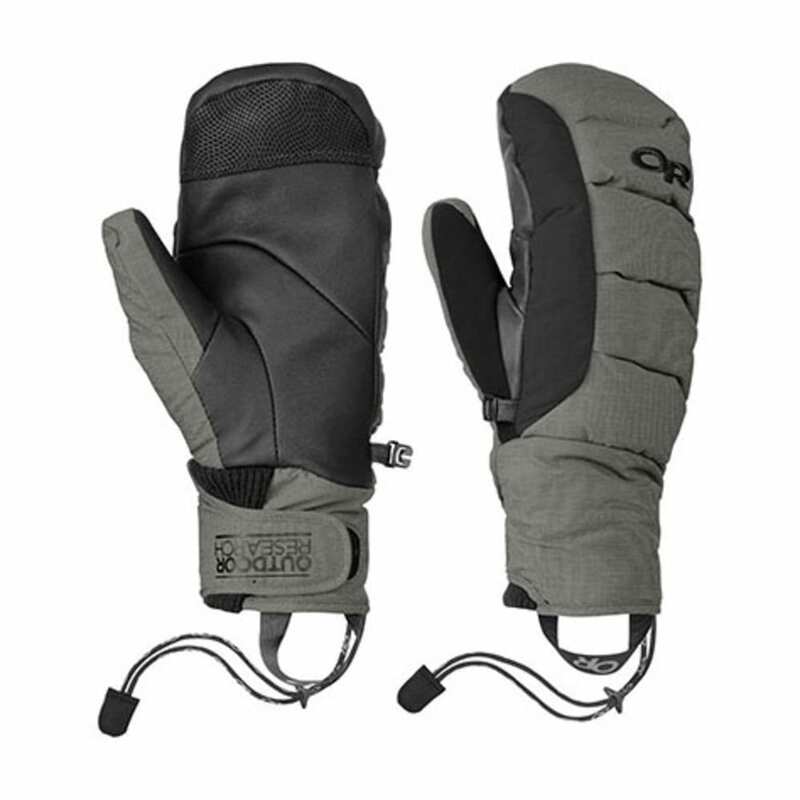 The toastiest mitts in our ski collection, the Stormbound Mitts are built by sandwiching a layer of 800+ Down Fill between two layers of PrimaLoft One synthetic insulation -- the same combination of insulations used in our furnace-like Stormbound Jacket. By surrounding the weather-vulnerable down with water-resistant PrimaLoft One, we ensure the Stormbound Mitts will both stay warm in wet weather and wick perspiration away from the skin. The waterproof, breathable Pertex Shield outer shell further protects your hands from wet or melting snow, and the comfy, secure rib-knit cuff with hook-and-loop closure seals out the elements. Avg. Weight (pair): 6.7 oz.